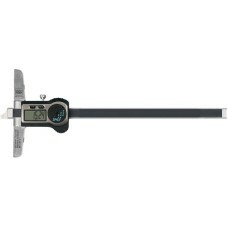 The caliper is one of the most commonly purchased precision measuring tool. 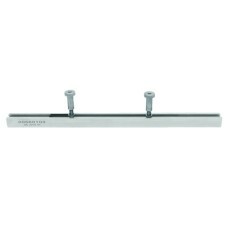 Gaging.com carries all Brown and Sharpe calipers at discounted pricing. If you are looking for a particular style that we do not have on the website, please let us know. We will gladly locate the item for you. The 00530431 Brown & Sharpe TESA TWIN-CAL IP67 Digital Electronic Caliper 8"/200mm with Rounded Meas.. The 00530432 Brown & Sharpe TESA TWIN-CAL IP67 Digital Electronic Caliper 10"/250mm with Rounded Mea.. The 00530433 Brown & Sharpe TESA TWIN-CAL IP67 Digital Electronic Caliper 12"/300mm with Rounded Mea.. The 00530434 Brown & Sharpe TESA TWIN-CAL IP67 Digital Electronic Caliper 20"/500mm with Rounded Mea.. The 00530435 Brown & Sharpe TESA TWIN-CAL IP67 Digital Electronic Caliper 24"/600mm with Rounded Mea.. 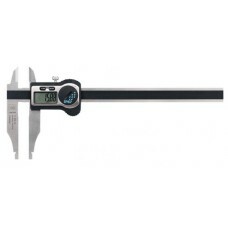 The 00530436 Brown & Sharpe TESA TWIN-CAL IP67 Digital Electronic Caliper 32"/800mm with Rounded Mea.. The 00530437 Brown & Sharpe TESA TWIN-CAL IP67 Digital Electronic Caliper 39"/1000mm with Rounded Me.. The 00530441 Brown & Sharpe TESA TWIN-CAL IP67 Digital Electronic Depth Caliper 8"/200mm with Short .. The 00530443 Brown & Sharpe TESA TWIN-CAL IP67 Digital Electronic Depth Caliper 12"/300mm with Short.. The 00530444 Brown & Sharpe TESA TWIN-CAL IP67 Digital Electronic Depth Caliper 20"/500mm with Short..
00560103 Brown & Sharpe TESA Removable Bridge for Depth Caliper - 7.874"
The 00560103 Brown & Sharpe TESA Removable Bridge for Depth Caliper - 7.874" is on sale at Gaging.co..
00560104 Brown & Sharpe TESA Removable Bridge for Depth Caliper - 11.811"
The 00560104 Brown & Sharpe TESA Removable Bridge for Depth Caliper - 11.811" is on sale at Gaging.c..
00560105 Brown & Sharpe TESA Removable Bridge for Depth Caliper - 15.748"
The 00560105 Brown & Sharpe TESA Removable Bridge for Depth Caliper - 15.748" is on sale at Gaging.c.. Measuring functions • Zero setting • Metric/Inch conversion • Hold function for displayed value..